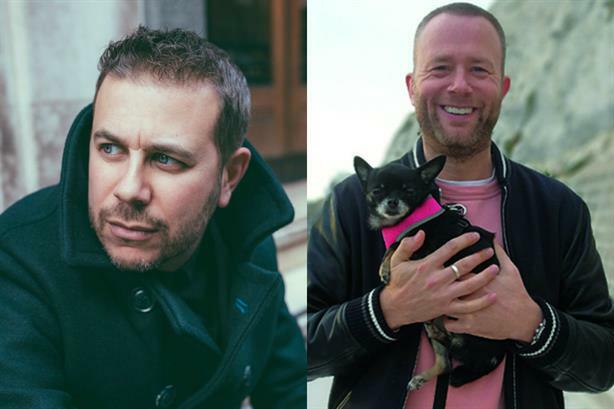 In the first joint interview in our series that gets under the skin of UK PR creatives, PRCA Creative Group chair Nick Woods speaks to Mischief creative directors Damon Statt and Greg Jones. "We end up working on exactly what we’ve pitched so much because we’ve got it spot on and strategically right at the start." Ten, even five, years ago the idea of a specialist CD in British PR was pretty unusual; today there are more than fifty spread across a range of agencies. And yet Damon and Greg are the first creative team I’ve spoken to and are, as far I know, the only senior creative team in the industry. So I’m wondering, how does this work? Is there a straight guy and funny man? Is one actually more of a planner? Do they take the lead in turns? Do they call each other ‘babe’ a la Laurel and Hardy? They’ve worked together at Mischief for three years and the success of their partnership can be seen in the client wins, the nominations and the awards they’ve garnered in that time. But it can also be seen in the way they behave with each other… these two just get on. In some ways, they aren’t an obvious double act, given one is Scottish and one is English; one is from suburban south London and the other from Glasgow; one is a father of three, one is single. And yet it clearly does and a few hours with them bounce along genially as they agree with, build on and develop each other’s thinking. How did the two of you find each other? 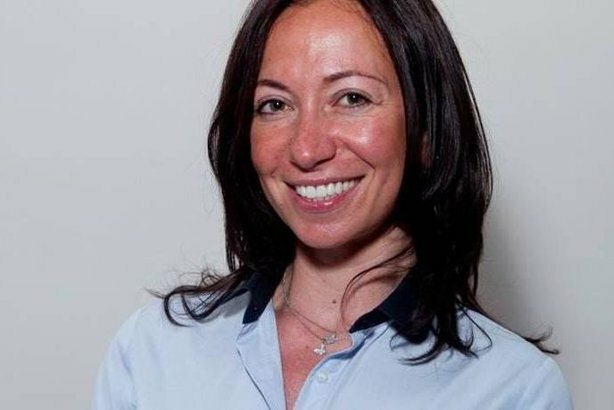 DS: Frankie Cory (Mischief CEO, below) – she’d joined Mischief and recruited me and knew Greg through her network and thought we might work well together. As a manufactured team so to speak, it seems to be working – how come? DS: Chemistry, I guess. We get on well, we have a similar outlook on life, we like lots of similar things. GJ: And we don’t compete. We know each other’s strengths and weaknesses, each other’s passions, and we can read each other pretty well. Are you both on all accounts and pitches? GJ: No, it wouldn’t make much sense and wouldn’t be best use of our time; instead, we pretty much split the account portfolio between us. DS: And on pitches it comes down to a combination of personal passions for the prospect, who has time, whether we sensed any particular chemistry and all that stuff. Tell me more about how it works on accounts – are you both fully billable? Is your creative team a P&L in its own right? GJ: We split the accounts between us, and yes our time is absolutely chargeable, so we work with client teams on what we do versus what they do. DS: I think it works pretty well – the director or associate director is responsible for the team operation, for making sure the account is being managed, budgets are being stuck to, coverage is being achieved, deliverables are being met – our role is to help them have creative that will deliver. The creative role often brings a little tension with account teams – how do you deal with that? DS: Well, neither of us is really a shouter or anything like that, so generally we talk things through and find out why something isn’t working for someone. GJ: There’s a lot of mutual respect in the agency. That doesn’t mean there isn’t sometimes tension, but tension is ok sometimes – we’re all grown-ups and we all know each other, so we can always find a way through any disagreements by listening and talking until we reach a solution. There seems to be an increasing sense that planning is more of a problem than creative in PR – do you agree? GJ: We’re lucky to have Gemma (Moroney) as our planning director and we consider ourselves one team – the two of us, Gemma, Andy, Jack and Daniella – all specialist planners and creatives. DS: It’s great for us as creatives, actually, because it means on a new brief we have the ability to let planners, creatives and account handlers consider what stands out, where’s the right place to play, what’s genuine, what’s our playsheet. Is that what sets Mischief apart from its competitors do you think? DS: I think it’s definitely part of it. Probably 60 or 70 per cent of our time is spent with strategy and insight and I think that’s probably why we end up working on exactly what we’ve pitched so much – because we’ve got it spot on and strategically right at the start. GJ: Gemma spends a lot of time on measurement, we all want work that works, which shifts a dial, and which has genuine business impact. Very few PR agencies have planning and creative as tightly tied together as we do. You’re both involved in mentoring in a few ways – what’s all that about? DS: We have to turn potential recruits' minds on to the idea that PR is really fast-paced, really innovative, really creative and where you can have an idea in the morning and potentially be delivering it later that day. GJ: I just want to see more creative people making PR their industry of choice. Today’s creative talent can choose from big tech, start-ups, advertising, social and I’d like more of them to be at least considering us. GJ: You have to be eternally curious; you just have to be. You have to want to know stuff, you have to ask why and poke things - be a magpie.